Learn how to develop your own planning and scheduling system. 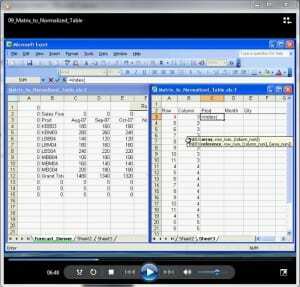 The Fast Excel Development Method helps you build planning and scheduling systems in Excel. We use Excel because it is flexible, transparent and everyone has access to it. Apply the right business rules to the system, not change your business to fit the software. Production-Scheduling.com offers these areas of education. This on-line course provides a toolbox of Excel and Data modeling techniques that are needed to build a system. Watch and listen as an instructor teaches the principles and then performs the action right there on the screen. This e-Learning was developed and narrated by Tony Rice, the founder of Production-Scheduling.com, and has been taught to thousands of professionals who have built their own systems around the world. We provide before and after examples of each Excel workbook, and you can see the principles in action with the PS-Cycles Demo System. Click here to subscribe or existing subscribers can log-in here. 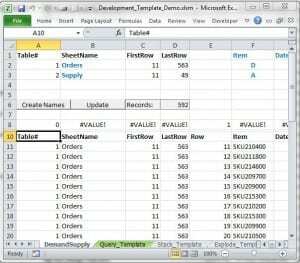 We have developed tutorials to learn the principles of Fast Excel Fast Excel Development Template automates many of the Fast Excel principles. Production-Scheduling.com consultants use this template to build advanced planning and scheduling systems for clients. There are video tutorials that get you up and running on using the template. For best results, this template should be used in combination with the Fast Excel e-Learning or a live training workshop. Production-Scheduling.com consultants teach training workshops around the world. 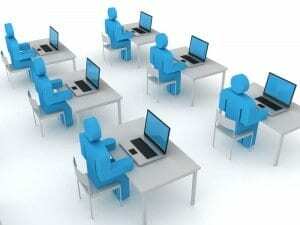 The Fast Excel Workshop and the Integrated Planning Workshop are the two flagship training events. You can choose to attend our public workshops which are held in various locations on this calendar. Or we can arrange a private workshop or small group to be arranged at a location and time to suit you. The private workshops can also be customized with your actual data. The result is a double benefit – skilled participants and a fully functional production scheduling system. Contact us to arrange a workshop today.